Thanks to the passion, professionalism and innovative intuitions of its founder Dino Signori, an entrepreneur for more than 50 years and a long-time cyclist, SIDI has become one of the leading companies in its sector over time. Tradition and innovation, comfort and design are the elements that make SIDI sports shoes as special today as yesterday. Because of their guaranteed quality, SIDI footwear is the choice of millions of athletes. Together with a brand that proudly boasts a history of decades, there is a passion that goes beyond the end of the company. It is the passion for style that only those who choose to move on two wheels can have. The Sidi Arcadia Rain Motorcycle Boots are part of the latest Sidi collection. 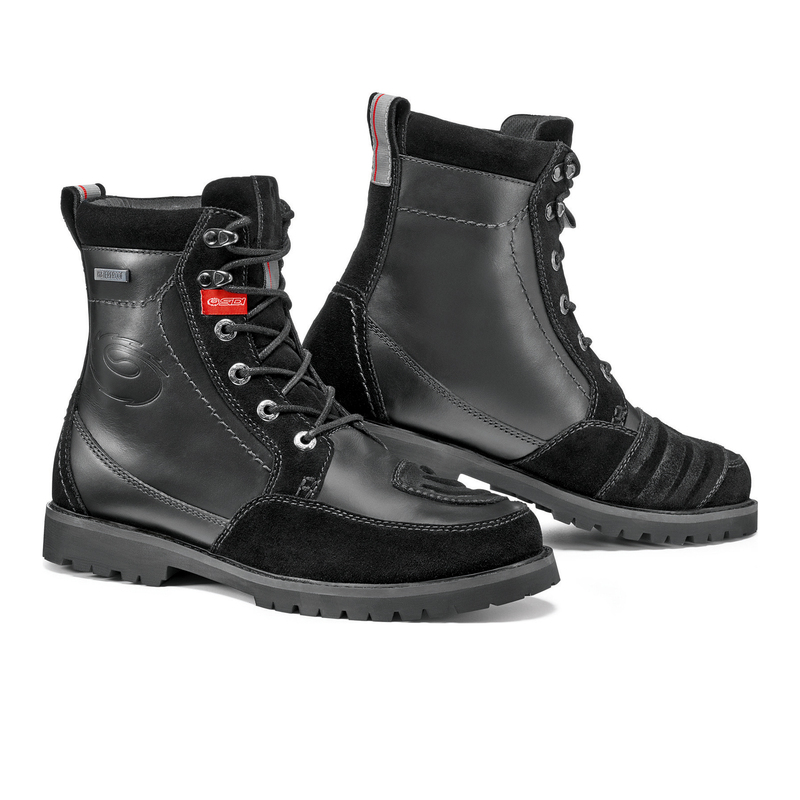 The Sidi Arcadia Rain is a low cut motorbike boot that is designed for heavy urban use and some mild touring. Constructed in full grain leather and suede patches, these ankle boots are capable of providing decent weather protection thanks to being lined with a water resistant membrane. 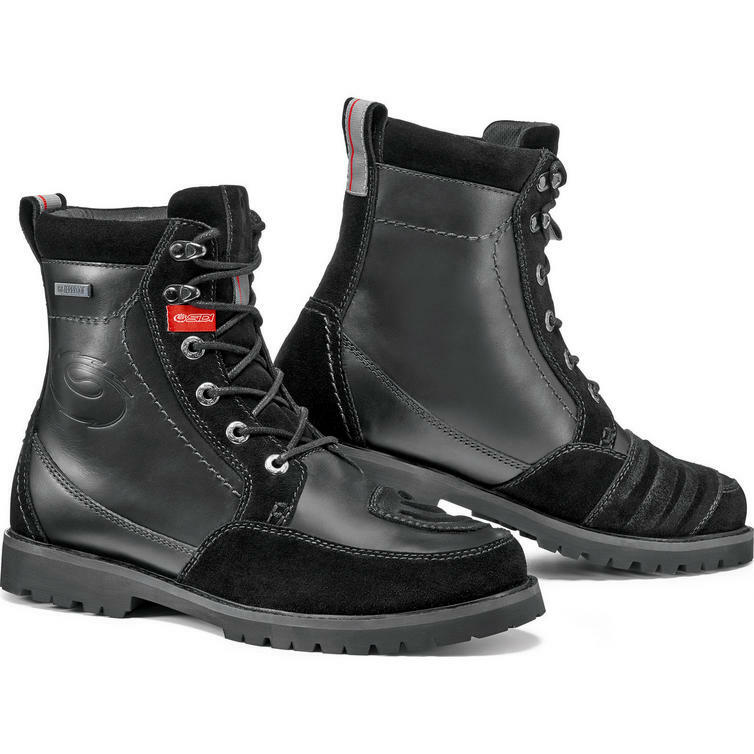 This is then complemented by a non-slip rubber sole to give you the necessary confidence in wet conditions. Fastening is through a simple lace-up system. If you are after a comfortable pair of biking boots, the Arcadia Rain is going to offer a good blend of style and functionality. View all Sidi Urban Motorcycle Boots. View all Motorcycle Ankle Boots.